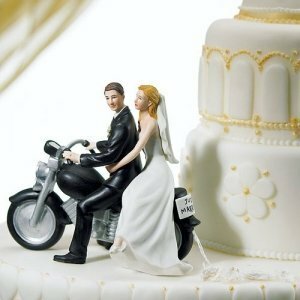 Ride off into the sunset! 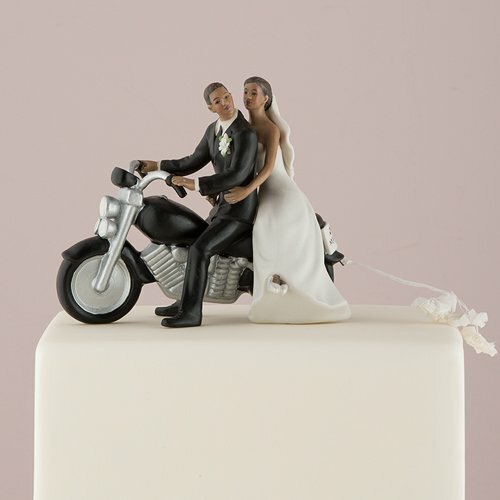 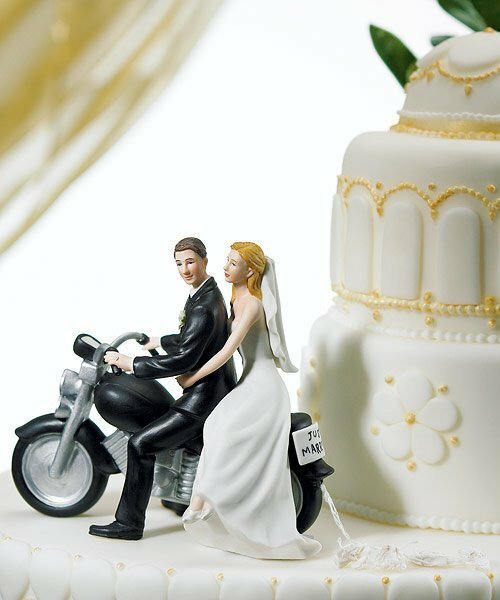 The bride and groom on this motorcycle wedding cake topper are ready to get away from it all. 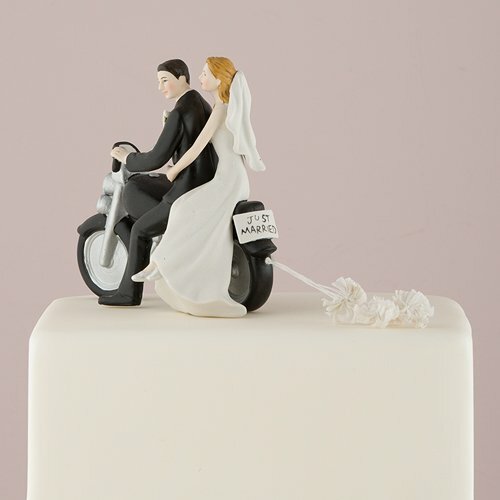 Our classic motorcycle features a smiling wedding couple, a license plate that reads 'Just Married' and actual paper pom-poms that are tied to the bike's back fender. 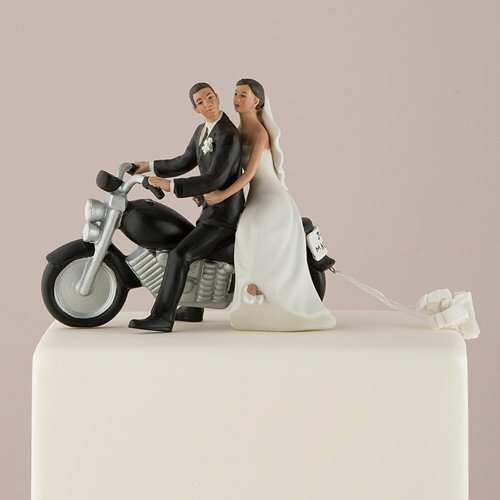 Figurine is hand-painted porcelain with several hair color options available for the bride and groom to personalize this great topper. 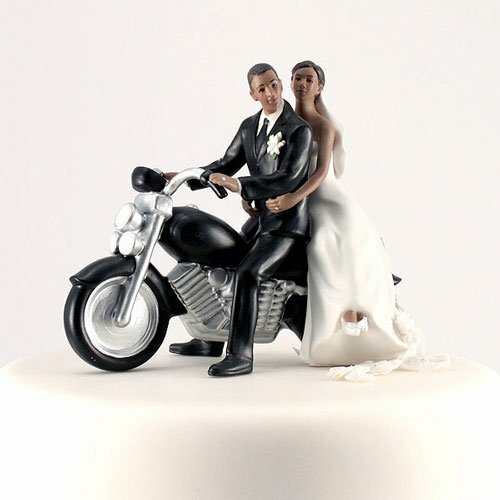 This topper is available in three skin tone options (light, medium and dark) making it an excellent option for African American, Caucasian, Hispanic and Latino couples. 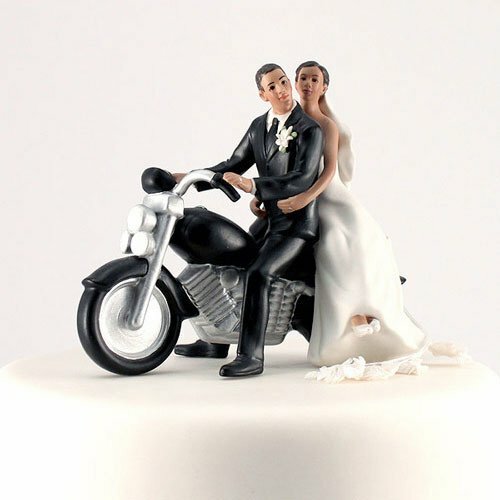 Product dimensions: 5-3/4 x 3-1/2" x 5" high.